i am far from an amazing cook. i mean, it doesn't come naturally. i need a recipe. and when i find a good one that works for me i share it. because if it works for me it will definitely work for you. fried zucchini is one of my favorite foods of all time. i've tried to make it but it never comes out quite right. i gave it one more shot when i found this pin. it's a baked version which i find much easier than frying. i don't need to list all the details because i followed the recipe here exactly and it came out perfect. hallelujah! 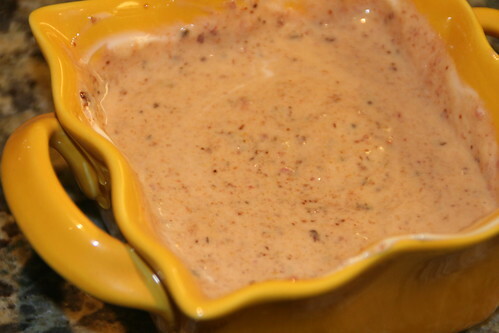 the dip, which i also made, should be illegal. it was a little time consuming but totally worth it. even hubby thought so, and that's saying something. 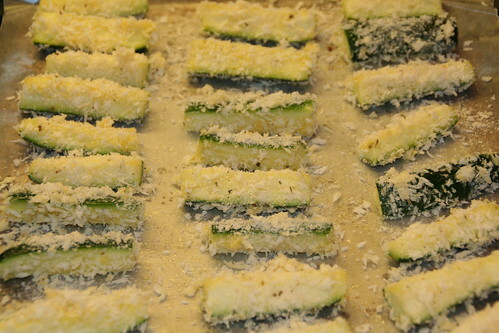 just make sure you don't skip the salting process for the zucchini. i think that made all the difference. 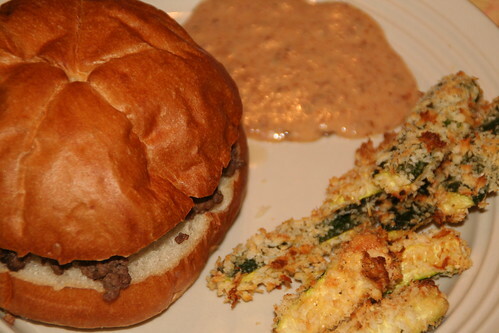 served as a side with my version of a sloppy joe. perfection. can't wait for you to visit and make me these.